Ukrainian Orthodox Church of the USA - Council of the Metropolia Meets in Annual Session at Metropolia Center! Council of the Metropolia Meets in Annual Session! Council of the Metropolia Meets in Annual Session at Metropolia Center! The Council of the Metropolia – Ukrainian Orthodox Church of the USA – held its annual meeting at the Cultural Center of the spiritual headquarters of the Ukrainian Orthodox Church of the USA in South Bound Brook, New Jersey on October 4, 2012 to discuss and evaluate the life of the Church and to set the budget for the upcoming fiscal year prior to the beginning of Extraordinary Sobor (Clergy-Laity Congress) of the Church. The Metropolitan Council is the highest administrative body overseeing the life of the Church between the regular triennial Sobors. The Metropolitan Council is composed of the bishops, clergy and lay members elected by the Church Sobor and the Presidents of our Church’s three Central Organizations. The Council Meeting was preceded on October 3, 2012 by the regular monthly Consistory meeting. His Eminence Archbishop Antony, the Locum Tenes of the Metropolia led the Council Members in a Moleben beseeching God’s protection of our Holy Church, which was followed by a Memorial Service for recently reposed clergy and laity of the Church, especially Metropolitan Constantine of blessed memory. His Eminence Archbishop Antony opened the annual session and expressed his gratitude to God Almighty that we have the opportunity once again to gather and work together for the glory of God and in service to the Body of Christ – our Holy Ukrainian Orthodox Church. He welcomed the Council Members – Bishop Daniel, Protopresbyter Taras Chubenko; V. Rev. Fathers Bazyl Zawierucha, Michael Kochis, Robert Holet, Timothy Tomson, Taras Naumenko and Vasile Sauciur; Eng. Emil Skocypec, Dr. Gayle Woloschak, Dr. Paul Micevych, Helen Boyko-Greenleaf, Michael Kapeluck, Olga Coffey, Michael Kapeluck and Panimatka Linda Oryhon; UOL President Martha Misko, UUOS President Tamara Parubchenko and St. Andrew Society President Protodeacon Dr. Ihor Mahlay. His Grace Bishop Daniel reminded the Council members about their sacred responsibilities, having been elected to the Council not only by their brothers and sisters in the Faith, but by the Holy Spirit, Who we believe with certainty guides every decision made during our Sobors. He called the members to increased participation in the life of the Church. His Eminence Archbishop Antony stated that they all have particular responsibilities as Directors of Offices of Ministry or on various committees or commissions, but he stated that they will be asked to travel to the parishes in their area in behalf of the Council, to ensure that the faithful of our Church fully comprehend the breadth of work and accomplishments of the Church administration. 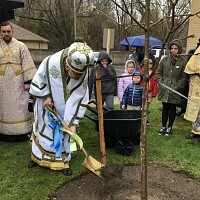 They will be asked to draw the parishes into greater participation in the life and activity of the Church – to bring down the concept of parishes existing as separate individual entities – and developing the understanding the they are part of something much greater – Christ’s Church – our Holy Ukrainian Orthodox Church, which has a definite mission to accomplish and a message to proclaim – all for the Glory of God. The work day of the Council focused on report of the President of the Consistory – Archbishop Antony. During his report he called upon the various Directors of the Consistory Offices of Ministry to expand upon their written reports and to answer any questions Council members may have. The Archbishop purposefully appoints members of the Council to head as many of the Offices as possible, so that each member is heavily invested in the work of administering our Church. 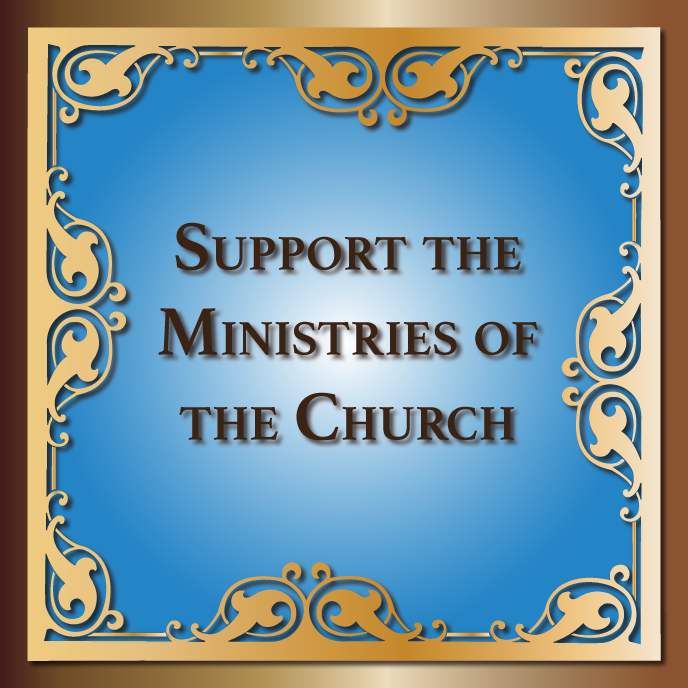 Our Church is blessed with active ministries in many spheres of work in the following Offices of Ministry: Stewardship, Youth and Young Adult, Religious Education, Christian Charity, Parish and Mission Development, External Affairs and Interchurch Relationships, Liturgical Publications, Family and Adult, Clergy Affairs, Cultural Affairs, Archives and Historical Information, Communications/Public Relations, Financial Affairs and Development. Only a few of the Directors are compensated in any way, but every one of them is so dedicated to their efforts. Moreover, His Grace Bishop Daniel and V. Rev. Bazyl Zawierucha, Provost of St. Sophia Ukrainian Orthodox Theological Seminary presented a report on the academic and student life of St. Sophia Seminary. Of particular interest was the fact that there are five new students that will begin their Seminary training, starting with the Spring 2013 Semester. The balance of the afternoon session of the day was consumed by a serious discussion of our Church’s financial status, needs and concerns. The financial report was presented by Treasurer Emil Skocypec and his assistant, Natalia Honcharenko. It was revealed that we continue to find ourselves in a less than perfect financial condition, with the hope that the improving economy will also improve that condition. The Council recognized with gratitude the Consistory’s efforts to cut costs and reduce staff over the past year, but realized that much more still had to be done. The Council approved the report and closely discussed the budget proposal for 2013, which gave evidence that the Consistory will make additional expense cuts and attempt to recruit more qualified volunteers to assist in the work that needs to be accomplished. Several cuts were made in the budget proposal, but all of the major ministry programs of the Church will proceed as usual and hopefully with much success. The Ukrainian Orthodox League, United Ukrainian Orthodox Sisterhoods, St Andrew Society, All Saints Camp, and the Historical and Educational Complex next presented their organizational reports. At the Conclusion of the meeting, His Eminence Archbishop Antony, the Locum Tenes of the Metropolia and the President of the Consistory of the UOC of the USA presented a report about the preparations for the Extraordinary Sobor of the Church at which the delegates will elect a new Primate – Metropolitan of the Ukrainian Orthodox Church of the USA. The Sobor was scheduled to begin with the celebration of Divine Liturgy on October 6, 2012 at 8:30am. The lengthy discussion took place at the meeting about the process of nominations and election of the new Metropolitan, and the President of the Consistory of the Church, if the office of the President of the Consistory becomes vacant. Gratitude was expressed by the Council members to the Consistory, the staff, especially the financial department, and the volunteers for their efforts during the past year, in spite of the budget cuts and difficult economic times. These employees and volunteers, and all the directors of the Offices of Ministry, the Archbishop stated, are people who give far more than they receive to the ministries they head.